Ideally positioned to tap into the thriving Bendigo Hospital Economy, just 100 metres from the hospital and a 1.7km walk to the Alexandra Fountain these recently completed bespoke townhouses have been designed anticipating the needs of all types of buyers from owner occupiers, residential tenancy investors and short term fully furnished accommodation. The contemporary design and recycled red brick/architectural cladded facade combine to compliment the surrounding 20th and 21st century period architecture. Both townhouses offer individual and generously proportioned floor plans that infuses natural light into an open plan kitchen, meals and living space that flows seamlessly to outdoor entertaining. Townhouse 3 – 2 Bedrooms with built in robes, Ensuite to master bedroom, Study nook, Family bathroom, 3 Toilets, Private courtyard, and Single lock up garage with storage room. 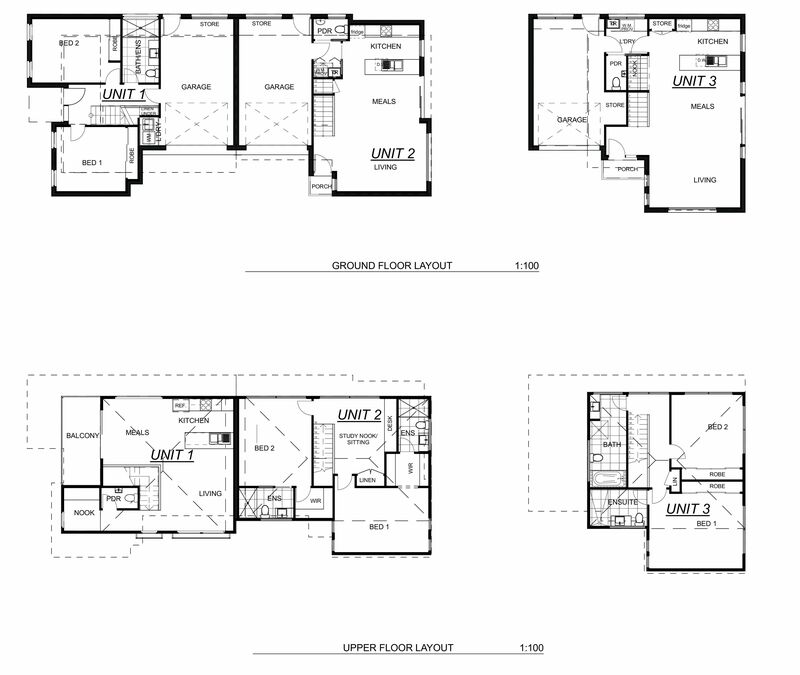 122.91m2 living area, 25.10m2 garage, 203m2 allotment size. Price $460,000 – $480,000.